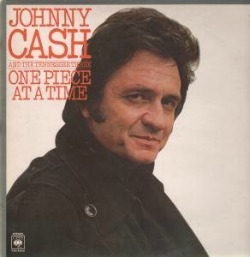 1976 #1 song "One Piece at a Time"
My Johnny Cash albums includes a humorous #1 rockabilly song "One Piece at at Time" recorded in 1976, and written by Wayne Kemp. 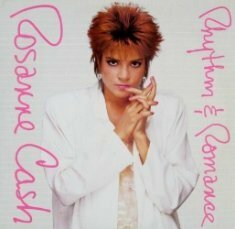 It would be the last song performed by Cash to reach number one on the Billboard Hot Country Singles chart. The song is the story of a Cadillac assembly line worker watching Cadillacs roll by and knowing that he will never be able to afford one on his salary. A plan was devised and he and a co-worker decided to steal a Cadillac. The singer takes the small parts by hiding them in his large lunchbox. The co-worker smuggled out his larger parts in his motor home. After many years of removing parts from the Cadillac assembly line, they decide to put all the pieces together. The big problem was the car was created from parts of many different models from years 1949 to 1973. The parts were all Cadillac...why didn't they fit? They ended up with a very strange looking vehicle, and it required extensive effort to make the different model parts fit together. 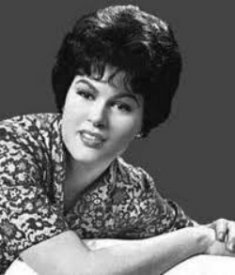 According to the song lyrics the vehicle title document weighed 60 pounds, requiring the entire staff at the courthouse to type it. 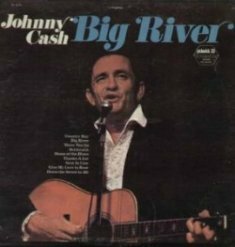 The promoters of the Johnny Cash Album title song asked Bruce Fitzpatrick, owner of Abernathy Auto Parts and Hilltop Auto Salvage in Nashville, TN, to build the vehicle for international promotion. Bruce had all the different Cadillac models mentioned in the song, and built a Cadillac using the song as a model. The car was presented to Cash in April 1976. It was parked for a few weeks outside The House Of Cash in Hendersonville, Tennessee, until someone could find a place to store it. The car from the "One Piece at a Time" video (pictured here) currently resides at the Historic Auto Attractions museum in Roscoe, Illinois. The car was built by Bill Patch of Welch, Oklahoma to raise money to build a Civic Auditorium, however, when the car was finished friends persuaded Patch to give his Cadillac creation to Johnny Cash. Cash at first refused the offer but after meeting with Patch fell in love with the car and accepted his "no strings attached" offer. 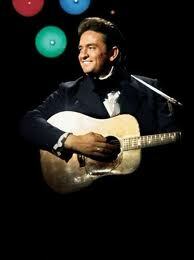 The Johnny Cash Albums title song became a number one hit off the #2 vinyl record LP album in 1976. When Cash learned of Patch's work to raise funds for a civic auditorium he brought his wife June Carter Cash to Welch, Ok for a benefit performance. The benefit helped push the building fund right past its goal and Johnny and Bill Patch remained friends over the years. Johnny and Waylon - "There Ain't No Good Chain Gang"
Return To The Johnny Cash Main page.